So you have made it through your first year of university. Yay! Regardless of what you are studying, you probably have quite a few years ahead of you, and may be unsure of what different expectations of you will arise. 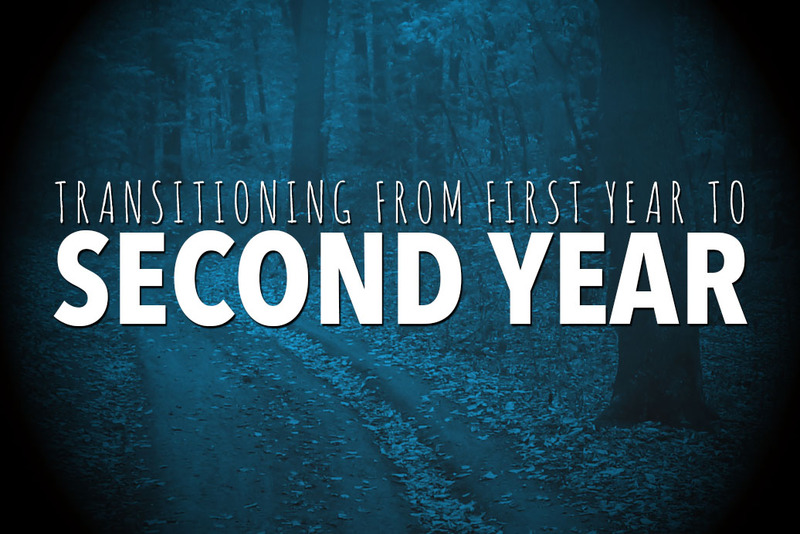 Naturally, second year will come with new things – here are some of the things that you can anticipate! Given that you are now familiar with how lectures and tutorials operate, you are likely to feel less afraid than you did in first year. All of those first-year jitters, getting lost and being unsure of how to approach tutors will be far less severe (though we all have our moments!). You may find that even your assignments are less intimidating. This means that in some ways, your second year of university will be a little easier to cope with than your first. One of the most apparent differences in content from first to second year is the density. In first year, you are only expected to grasp the fundamentals of a concept. In second year, you will need to demonstrate a much more thorough understanding of theories and concepts. This means that your readings become more essential. In first year, there was some room for discretion when it came to readings, but do your best not to carry this habit into second year. Most of the readings provided in second year are quite applicable and relevant to the course, so keep up with them. This may simply mean skimming through them and making some notes on the key concepts – it can be hard to fit in a 60-page article when you have assignments and other readings piling up! My point is, even if you don’t read the texts word for word, at least be familiar with it to such an extent that you would be able to discuss it in a worthwhile manner. This could be the difference between succeeding and not succeeding, given the density of the content. As in first year, there are also plenty of opportunities to engage with your tutors if something isn’t making sense to you. Remember in first year, when a whole tutorial would be dedicated to assignment planning? When the lecturer would give advice on how to do well? Well, none of that is happening in second year. You are an established student now, and you’re on your own when it comes to ‘general’ assignment advice. This is partially because there is a lot more freedom in your assignments now, and the subjects you take will be encouraging you to adopt your own, unique positions on the subject content. If you do want some guidance, you will have to take your own initiative, write an essay plan and give it to your tutor. It’s polite to ask your tutor first if they are reading plans – most of the time, they are happy to. Don’t expect a quick response though, they have hundreds of students across many different subjects! Incredibly so, I have had fewer assignments in second year. Yet, they have been larger, and a little more complex. For example, in my first year I did not receive an essay over 2,000 words. This year, my assignments have been between 2,500 and 3,000 words. Not a huge difference, but those extra words mean, more than anything, that you must go into greater detail in your work. The essay topics have also been broad, allowing much more freedom for you as a student to decide how you wish to respond. This makes it a little harder, but a lot more interesting! In first year, you may have also noticed that you were given a small assignment, a medium assignment and then a big one at the end. However, in second year, all of my subjects have had a medium assignment and then a big one – they have also been due about 2 months apart! You can take advantage of this. Most essay questions were released around the second week of semester, so you can plausibly give yourself a substantial amount of time to work on your assignments, leaving plenty of time for editing, proof-reading and getting second opinions. Make use of the time you have, and the skills that you obtained in first year. Second year is your chance to shine! In first-year, it is unlikely many marks were deducted for referencing. In second year, it is expected that you will have grasped these skills. Therefore, if you go putting your journal name in italics when you’re using Harvard (*gasp*) you will lose marks for it. Check and re-check your references. These skills will not be covered in tutorials or lectures from here on in! The competition will step up! In first-year, you may have noticed that people were a little less than enthusiastic. Perhaps it’s because many students were burnt out from year 12. However, in second-year, those who have decided to stay at university are stepping up and aiming for higher results. This makes the competition a little stronger than it was in first-year. This is not something to be afraid of, it’s a chance to excel and learn from interacting with your equally dedicated peers. Emily Lamb, second year Melbourne Arts student (Criminology/Politics and International Relations double major).